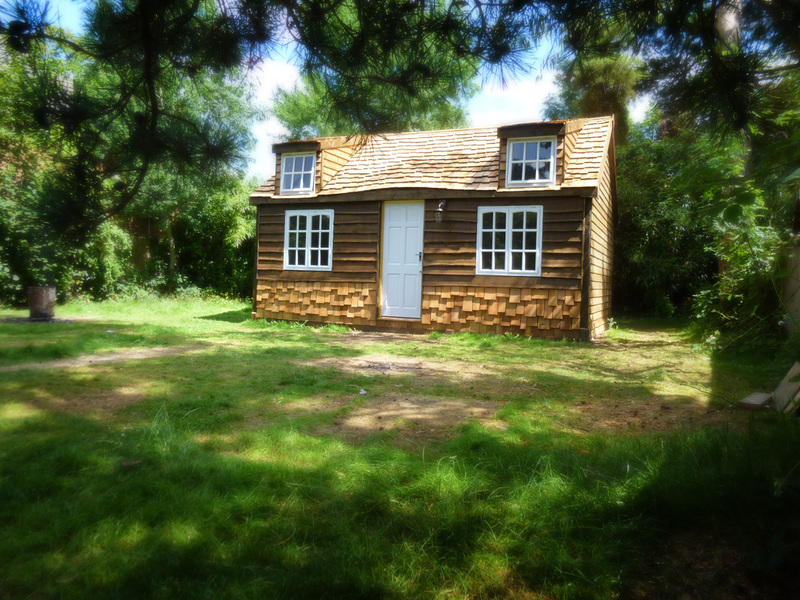 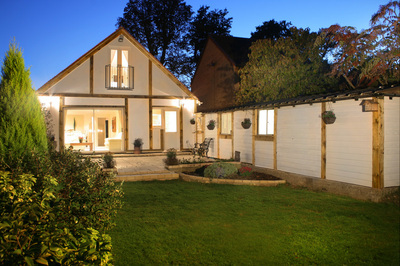 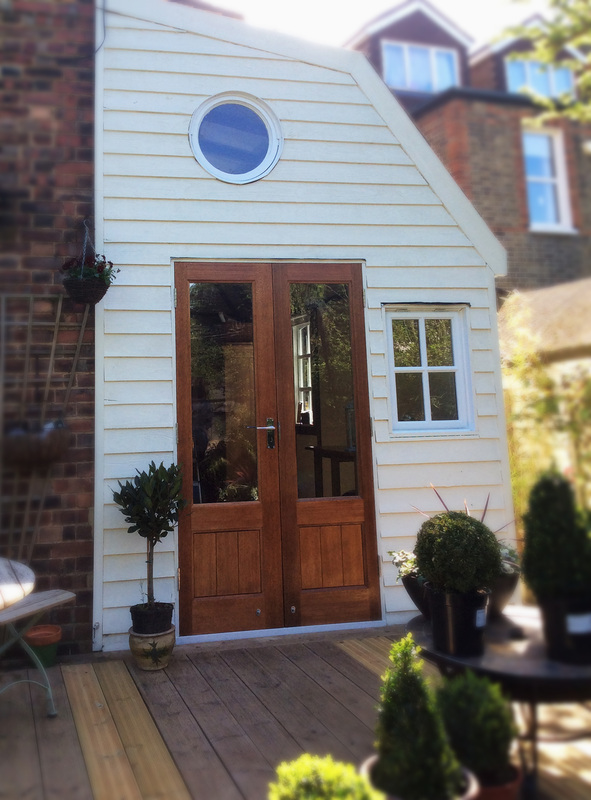 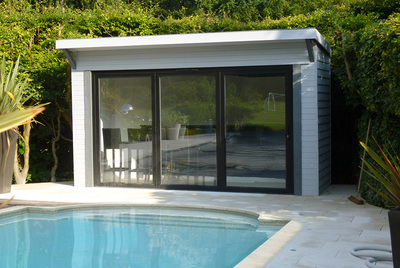 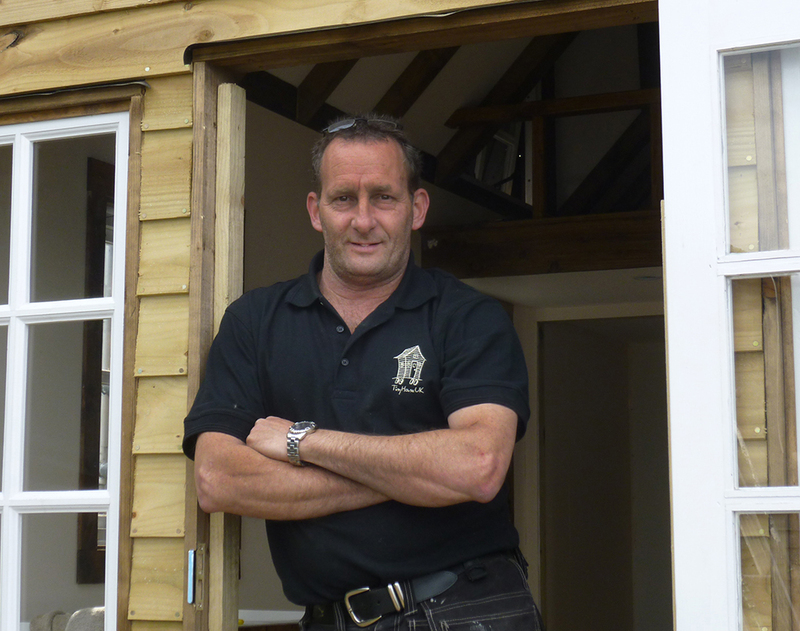 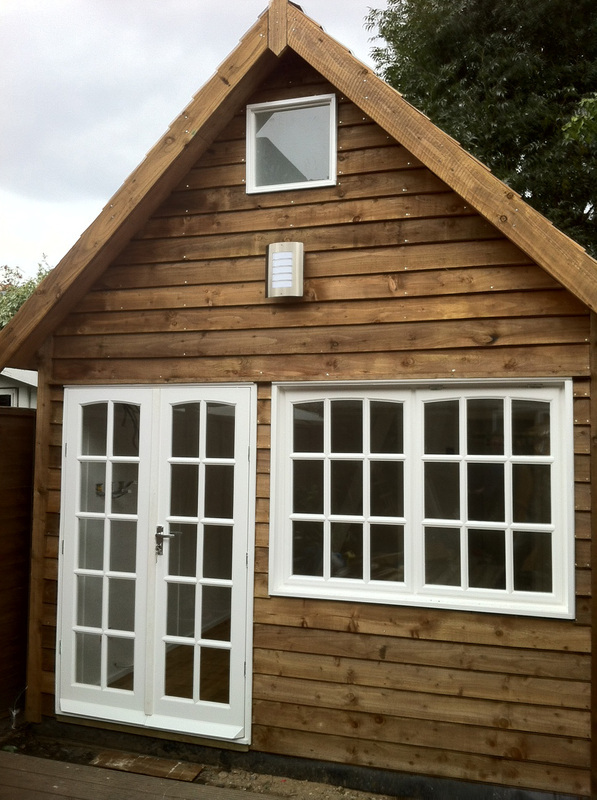 Bespoke Garden Buildings, Timber Structures, Garden Rooms and Custom Cabins. 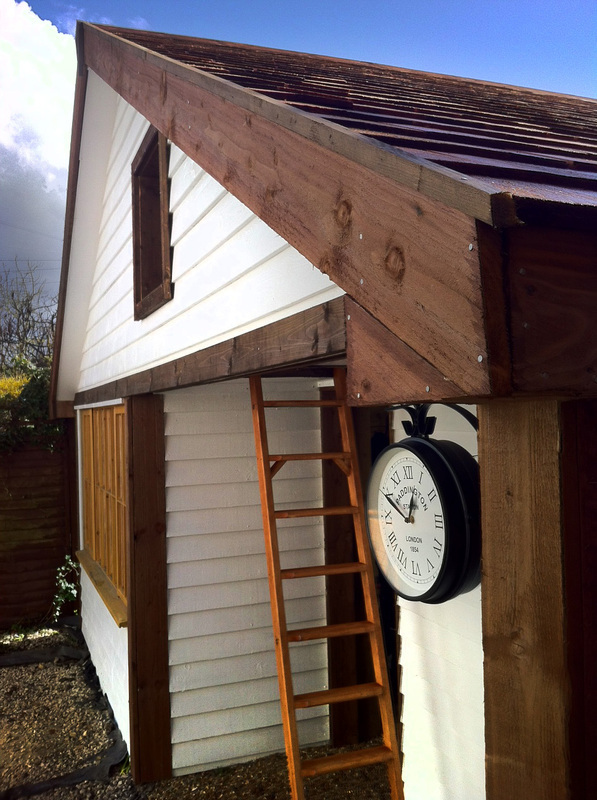 "Cheap carpentry is not good, and Good carpentry is not cheap", you get what you pay for. 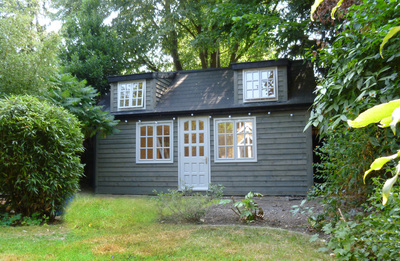 Not to say our Garden Rooms are expensive, They are built like a house, not like a shed. 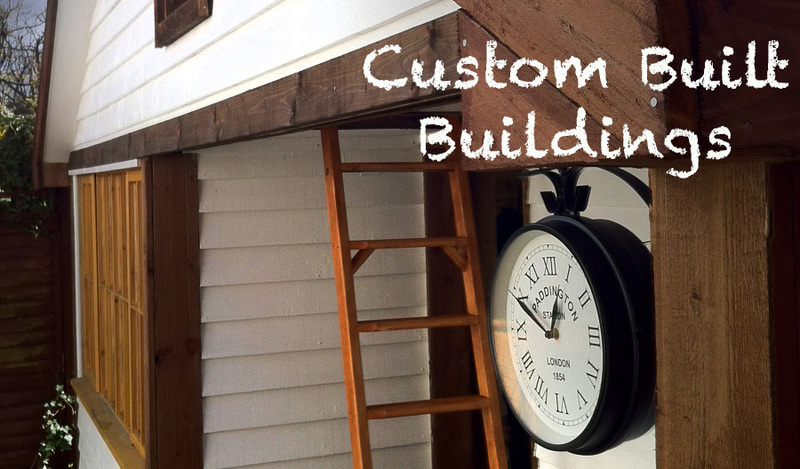 I am a firm believer of building things once and building them to last. Most of our Custom Made/ Bespoke Timber Structures are built on site (in your garden) to your own requirements. 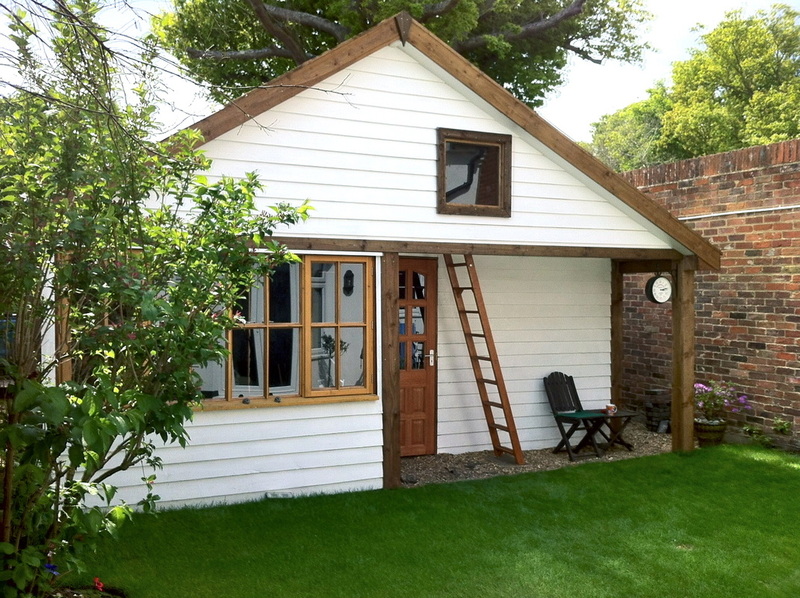 All garden buildings are built with a cavity walls to take a good amount of insulation, can be fitted with guttering, a choice of roof coverings, strong timber doors with locks and dead bolts. 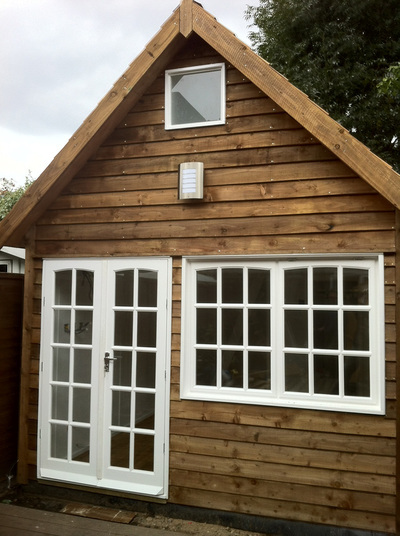 Your Garden Building can have double glazed windows, be decorated and have heat, light and power. 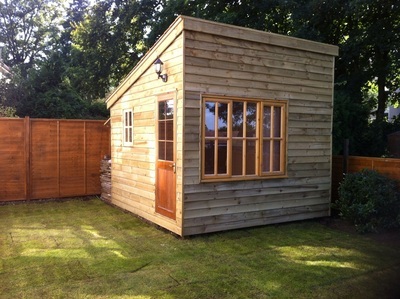 We can remove your old garage or shed if you have one, lay a concrete base for your new Garden Building with a full damp course or use the existing base even if it is not perfectly flat. 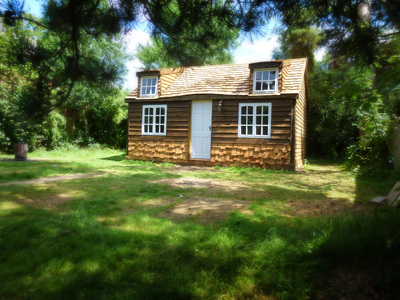 For more information regarding the interior, please see Cabin Extras and Upgrades.